Red House provides a perfect environment for a caravan holiday and we have a Caravan and Motorhome Club Certificated Location (CL) Site on our grounds. The site, which takes a limited number of caravans, is only open to current Caravan and Motorhome Club members. 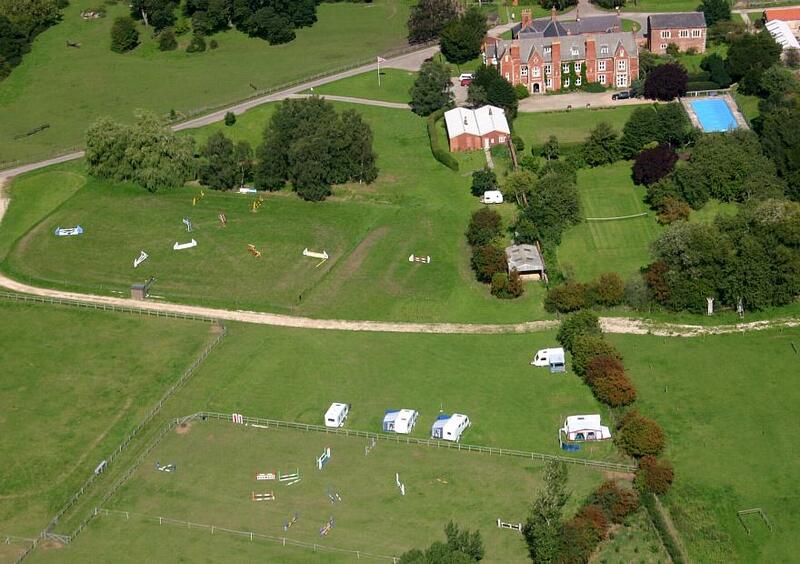 Our site consists of two large, well maintained grassy areas with two hard standing pitches. They are served by road and track and can be used all year round. In 2012 we installed a completely new electrical system to supply the CL Site. Each pitch now has its own 16amp supply providing enough power for most situations. Further to this, each pitch has its own descriminating RCD thereby virtually eliminating any "nuisance tripping". There is plenty of peace and quiet with horses and sheep grazing next to the site. Our facilities include water points, 9x 16 amp electricity points with individual RCDs, toilets and a waste disposal point. From June until August inclusive our outdoor heated pool is open. The lawn tennis court is also open in season and you are welcome to visit our 17th century chapel next to the main building. There are many walks through woodland and along the river, and plenty of bridle paths for cycling linked directly to the site. We can also sell fishing permits for the River Ouse (which is about 300 metres from the site). Although Red House is an isolated location there are plenty of pubs and shops in local villages and there is easy access to York and the Dales and Moors. During holiday seasons it is advisable to book in advance. Please telephone or email to book. If you are booking more than a week in advance then we would ask you to send a deposit of one night's fee to secure your pitch. Red House is a working estate with an emphasis on equestrian activities. During the summer months we hold a show jumping competition every Wednesday evening and the occasional One Day Event, Cross Country Open Day or Combined Training Day at the weekends. These take place close to the caravan site and provide an entertaining spectacle and you are welcome to watch. Please check the Equestrian Diary for information.